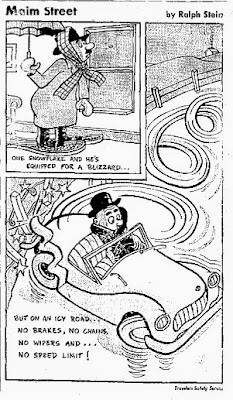 Like most second tier cartoonists Ralph Stein had to take on side jobs to make a living. 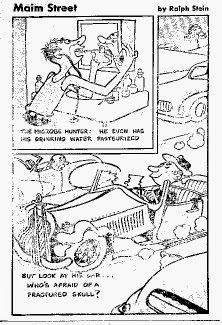 I have shown before how he did illustrations for the King Features Sunday Section The Pictorial Review all through the forties and fifties. 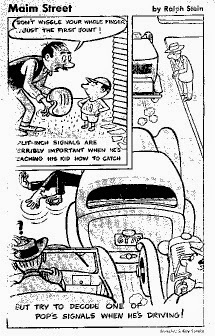 From 1952 to 1957 he created the Popeye strip and did a panel for King Features called Here's How. 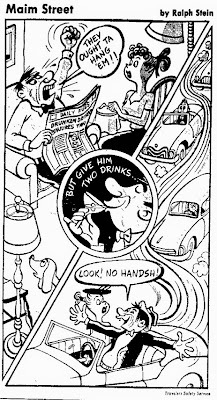 In the sixties he did a couple of books with cartoons about cars, which was always his pseciality. 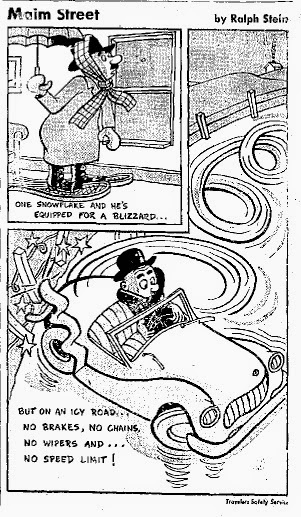 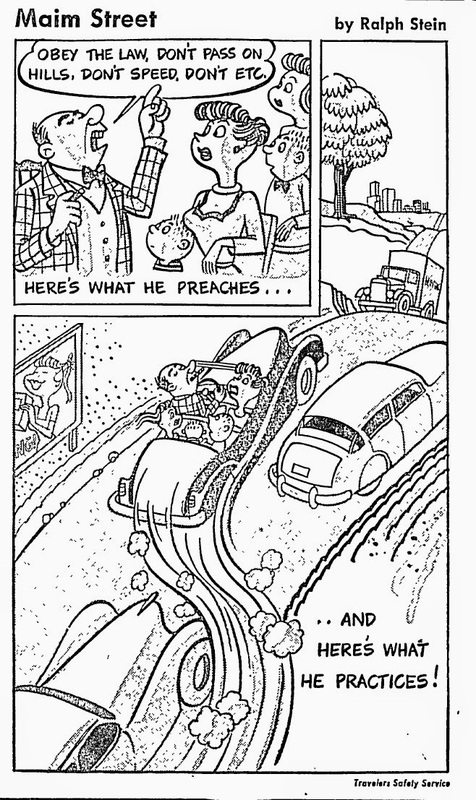 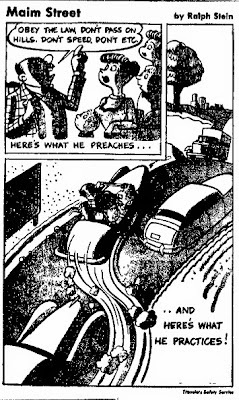 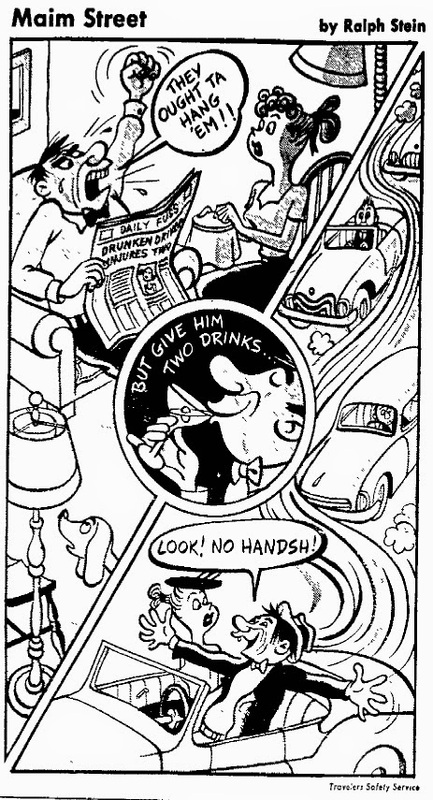 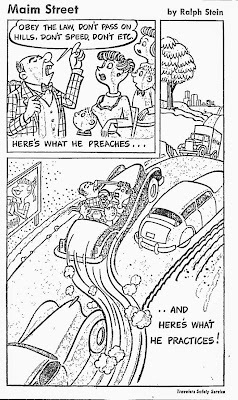 In 1951, he did a shortlived series of road safety cartoons.